The Wabash County Farm Bureau (WCFB) once again donated more than 4,000 pounds of hog meat to local food pantries and several other locations, according to Scott Dawes, WCFB board member. In March 2016, four local Farm Bureau Board members donated 14 hogs, or approximately 2,100 pounds, of hog meat for the Farmers Who Care campaign, a WCFB program dedicated to helping farmers serve the community. This year, the “project got so big” as hog-meat donation doubled. 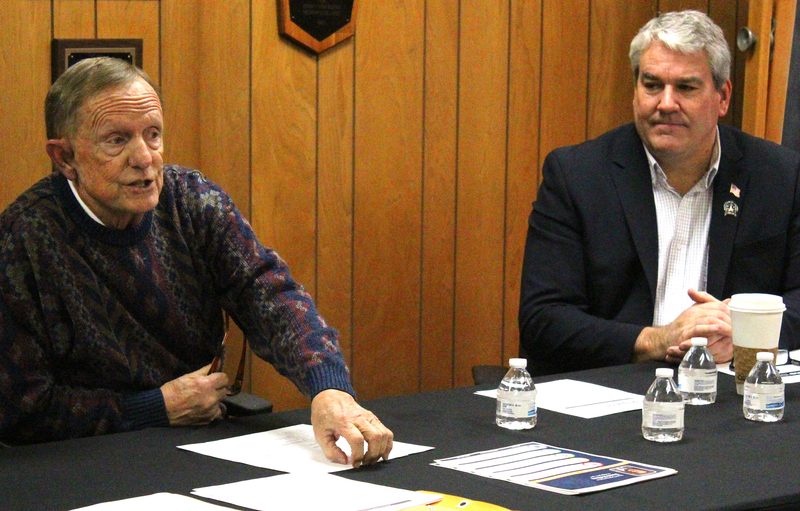 The county commissioners approved a request on Jan. 23 from the 4-H Junior Leaders’ Club to investigate the cost of connecting an existing Wabash trail to the Wabash County Fairgrouds. 4-H Youth Development Educator Angela Christopher, representing the Junior Leaders, presented the request to the commissioners in the form of a letter from Parker Mays, president of the Junior Leaders’ Club, who could not be there due to being in school. “The junior leaders are trying to learn extra leadership beyond what the normal 4-H club program offers, and so they do service projects around the community,” Christopher said.